What You Need to Know About Radon? Radon Gas is one of the most dangerous things we unknowingly expose ourselves to every day. It forms from the natural decay of radioactive elements that exist in the earth, deep under our homes and workplaces. It has no color or odor, so you can’t detect it without a measurement device. We offer testing services, as a certified radon measurement provider, as well as resources for free tests for eligible homeowners, and inexpensive tests for those who don’t qualify. So, there is no reason not to test! In the United States, the Environmental Protection Agency considers radon an issue if you have an average radon level of 4.0 picocuries per liter or greater in a structure. Approved testing devices include short-term tests (2-7 days) or long-term tests (90-360 days). These do not include “radon detectors”, or fairly inexpensive plug-in measurement devices. These can be useful for monitoring, but shouldn’t be relied on to determine if mitigation is necessary. 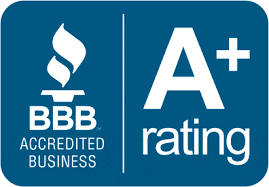 In most states, it is required that a certified measurement provider be used when providing measurement services for money or in a real estate transaction. You have the power to protect your family. Please test your home today! Radon gas is everywhere, especially the Tahoe Area and Nevada. It is the bi-product of naturally decomposing radium and uranium deep within the earth’s crust. The gas is released and rises to the surface where it either mixes with the outside air or gets trapped by structures. It is true that some areas are more prone to have radon issues than other areas. This in no way should stop people in low-risk areas from testing. 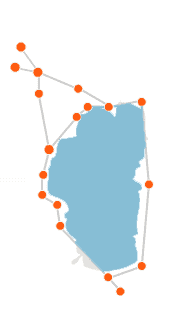 Next-door neighbors can have very different levels, and people in low-risk areas can very high levels! Tahoe and the surrounding areas have a substantial radon problem that is going mostly unaddressed. Estimates show that 1 in 5 homes could be above the EPA’s 4.0 picocurie action level. In most homes, elevated radon comes from air entering from the ground below. It doesn’t matter if your home is constructed over a crawlspace, a slab, or a mix of both. 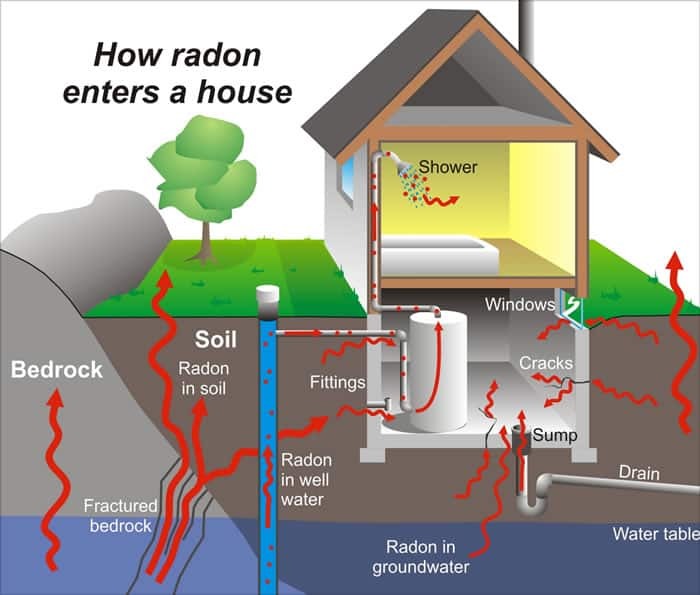 Less common, radon can also enter through well water and become airborne with showering and washing. New construction techniques designed to increase energy efficiency also reduce the amount of fresh air that enters a home’s envelope. It is required in most jurisdictions that exhausting fans be installed in bathrooms, kitchens, and other humid areas. Without required fresh air ventilation to replace the exhausted air, our homes are often pulling air from below. Even without the exhaust devices running, the “stack effect” is a natural phenomenon that causes air to rise. All these factors can be made worse by leaky heating systems and openings around plumbing and electrical. Sealing all of this can reduce the amount of air that enters the living space from below. Providing a moisture barrier that covers the soil and additional ventilation to crawlspaces are good building practices, though are often not effective radon mitigation techniques. The most effective way of mitigating most radon problems is the consistent depressurization of the soil under the home. This requires a fan that pulls air from under a sealed radon barrier or slab and exhausts the air to the outside of the structure. When radon is present in water, it is common to find levels of radon higher near rooms with plumbing, especially bathrooms. Water from most public/municipal water sources is stored and/or processed in a manner that removes radon. Test kits are available for measuring radon in water, and should be used if the home is serviced by a private well. Filtration, aeration, and storage systems can be used to remove radon from the water before it is released into the air. 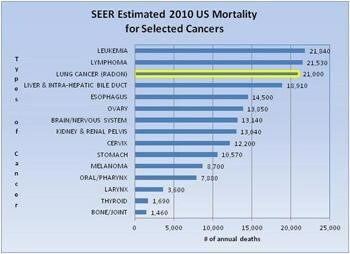 The Surgeon General puts radon as the second leading cause of lung cancer in the United States. There is no safe level of radon. A 3.9 picocurie house is not much healthier than one at 4.0. The greater the time someone is exposed to elevated radon and the levels of radon they are exposed to, both have an impact on the incidence of lung cancer. No accurate information is available regarding radon gas causing short-term effects like congestion, sore throat, headaches, or any other identifiable symptoms. Environmental Protection Agency (EPA) says exposure to radon is responsible for an estimated 21,000 cancer deaths each year. Even though California has the highest incidence of radon-related deaths, it has very low rates of consumer and real estate related radon testing. We are exposed to radon gas by breathing it, or drinking it. Radon gas is the “vehicle” for exposure, as it can move freely into a structure and become trapped. The exposure dangers come from the progeny, or the radioactive elements it produces during its breaking down to more stable elements. Having a 3.8-day half-life, radon gas is only a small part of the breakdown to Lead 206. Each time its progeny breaks down to another element, a release of energy occurs. This is in the form of Alpha, Beta, and some Gama releases. It is the Alpha releases that cause damage to the inside of our lungs. Some of the progeny that are produced are magnetic, and stick to dust, surfaces, and lung tissue. We typically account for 50% of the gas to “plate out”, or stick to surfaces in the home where it is unable to be breathed in. 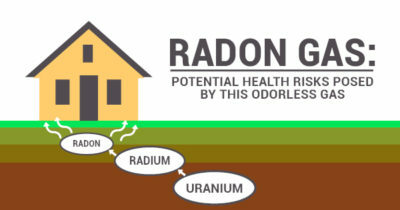 The radiation created by radon gas is not an issue until we breathe it. Once inside of our lungs, the radiation in the form of Alpha releases can damage our sensitive lung tissue. Even being exposed to low-levels for a short period of time can have exposure risk. It is not possible to eliminate all our exposure to radon, as it is found in the outside air. What we can do is test, and decide if our risk outweighs the cost of mitigation in our home.